Everyone made impassioned speeches. Leo won, and got one step closer to his long overdue Oscar. Idris Elba won two Actors. Priyanka Chopra toned down her fake accent. The cast of DOWNTON did it again. And with Spotlight winning the ensemble award, I got eight out of thirteen predictions correct. Here’s a look at what else went down at the SAG Awards last night. 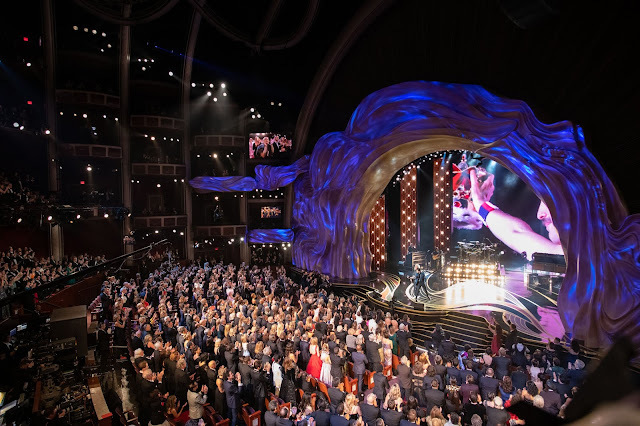 It was hardly a night of surprises, with several repeat winners in the TV categories, and Leonardo DiCaprio winning for The Revenant. However, it was far from dull. 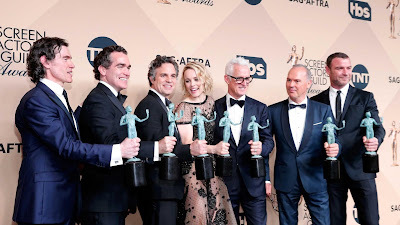 I always enjoy the SAGs, with all the camaraderie between the actors when they get together to celebrate each other’s work every year. And the tradition of opening the evening with anecdotes by a random selection of actors always sets the tone for a nice, fun evening. I particularly enjoyed this year’s selection. Jeffrey Tambor, Kunal Nayyar and Rami Malek were pretty cool. It’s possible that the absence of a host or an emcee lowers the chances of disappointment, but it’s also true that with no host, the entire burden of entertaining us is on the presentations. And I thought the writer did a decent job of putting together those bits for the presenters. Not all of them were outstandingly hilarious though. For instance, I didn’t see the point in Sarah Silverman slapping on the fake mustache. But I found it really endearing the way Jason Bateman revealed the winner by saying, “Get up here, dad,” calling out to Tambor, his former on-screen dad from ARRESTED DEVELOPMENT. There was a lot of passion in the presentations too. What started with Queen Latifah’s anecdote in the beginning (“I’ve been told I’m not thin enough, I’m not white enough, I’m not man enough. Damn it, I am enough! ), was carried forward by those who were presenting the films nominated for ensemble cast. And then the winners took it forward using the stage as a platform to voice their support for various causes. The cast of Spotlight spoke about the abuse in the Catholic Church. Jeffrey Tambor dedicated his award to those transgender people who can’t afford to transition to the genders they identify with. Lesley Nicol, speaking on behalf of the cast of DOWNTON ABBEY spoke passionately about working on the final season of the show, and thanked America for welcoming them with open arms. Alicia Vikander’s speech made note of how an actor’s work is a product of collaboration. But I thought Uzo Aduba’s speech, inspiring young aspiring actors to continue to strive towards being able to be at a show like the SAGs, was particularly good. 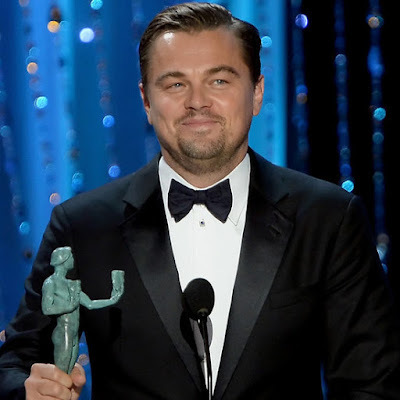 My favorite speech was Leo's though, especially the part where he thanked his parents for letting him go for auditions after school as a thirteen-year-old-boy. 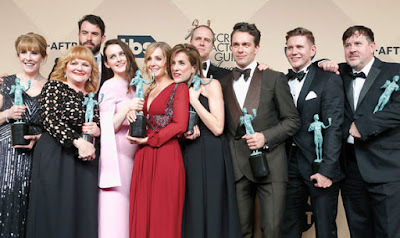 Among the winners, I was happy to see DOWNTON ABBEY win again, but sad to see the cast of MAD MEN not up there, or even Jon Hamm. Aside from Jeffrey Tambor for TRANSPARENT, and the miniseries/TV movie categories, all other TV recipients were last year’s winners. So that was not very exciting or new. Spotlight’s ensemble cast win doesn’t make it any easier to guess which film will win the Oscar for best picture. But I think one can safely say that Leonardo DiCaprio and Brie Larson will win this year. I thought it was well put-together show, appropriately paced, and I particularly loved the audio-visual of actors playing actors. 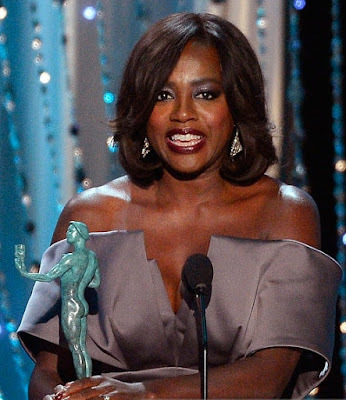 Even the lifetime achievement presentation didn’t seem like the drag it sometimes is. I actually liked Carol Burnett’s speech and how she spoke about comedy TV being a man’s domain. It was also good to see a woman—Demi Moore—presenting the award for best ensemble in a motion picture, since usually best-picture-equivalent awards are generally presented by men. Now I would like to see maybe Meryl Streep presenting the Oscar for best picture next month.